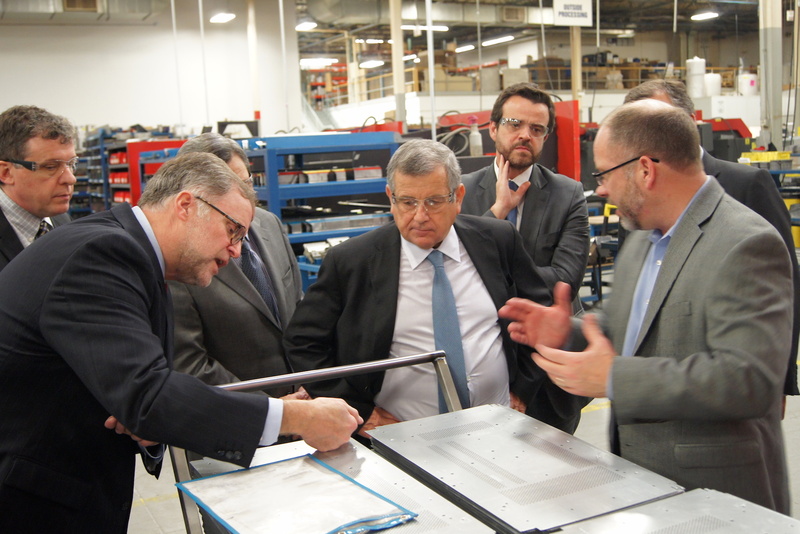 Last month, executives from Portuguese mobility services company A-to-Be met with leaders from the County and toured Elite Manufacturing in Bloomingdale. The company is preparing for the relocation of its U.S. operations from Colorado to DuPage County following its recent award to supply the Illinois Tollway with 270 Automatic Toll Payment Machines (ATPMs). A-to-Be was recently selected to supply the Illinois Tollway with the ATPM machines which will improve service to tollway users, including the underbanked, while saving the Illinois Tollway significant operational costs. The ATPM machines will be built through a partnership with Elite Manufacturing, an advanced machine design and fabrication company in Bloomingdale. A-to-Be has been active in Portugal for 30 years and operating in the U.S. for the last three years from its U.S. headquarters in Colorado. Its U.S. headquarters relocated to Downers Grove, a short distance from the Tollway on November 1, 2017.